The epidemic of opioid addiction in the United States has taken countless lives and impacted countless more. What often starts as a simple prescription for pain management can lead to devastating dependence, addiction and overdose. Dependence can occur in just a week of legally prescribed opioid use, and as many as 1 in 5 people prescribed opioids develop dependence issues. At Ballen Medical & Wellness, we’re here to help. We can help you overcome your opioid dependence and support you in getting control of your life again. Contact us today to learn more and discover the best treatment option for you. Located in Centennial (just south of Denver, near the Denver Tech Center), our integrative mental health and wellness center offers a warm, respectful, and supportive environment to help you or your loved ones in your fight against opioid dependence issues. We offer numerous treatment options to address all underlying causes of dependence – from the physical and mental to the emotional. 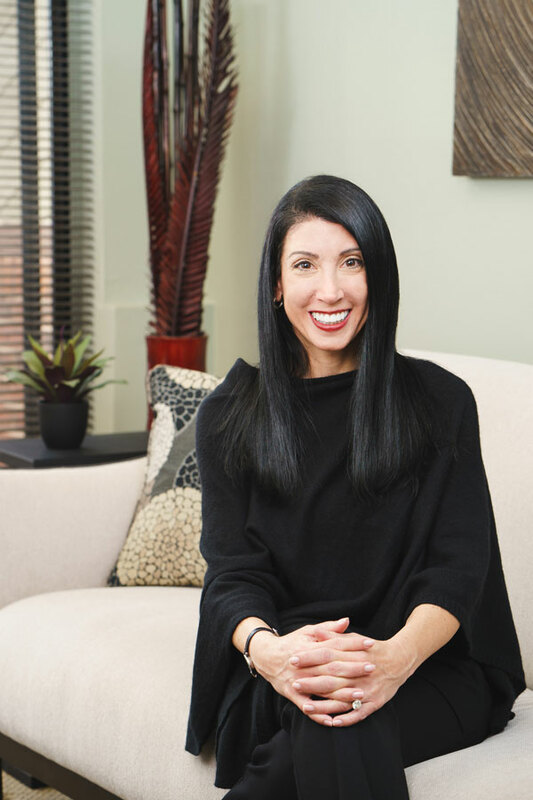 Our founder, integrative psychiatrist Beth Ballen, MD, guides all addiction treatment and is licensed to prescribe Suboxone treatment for opioid and opiate dependence. Most importantly, we’ll meet you where you are and work towards success on your own timetable. For some clients, this means rapid detox and therapy. For others, it may mean long-term use of Suboxone for maintenance. Suboxone (containing Buprenorphine and Naloxone) is a prescription medication used to treat opioid and opiate addiction, including prescription pain killers such as Hydrocodone, OxyContin, Percocet and Fentanyl as well as Morphine and Heroine. Suboxone was developed to suppress withdrawal symptoms and decrease cravings for opioids and opiates, without producing the feeling of being high. Suboxone has enabled countless patients to regain their quality of life. Please note: In addiction to Suboxone, we offer an intensive IV therapy detox program for those clients who prefer to detox naturally without prescription medication. Every day we help people just like you take steps to regain control of their lives. Contact us to learn more at (720)222-0550. Ballen Medical & Wellness offers an alternative to many of the other available treatment options out there. We are not an addiction or rehab center, but a full-service mental health and wellness office devoted to all aspects of mental and emotional well-being, including physical wellness. If the stigma of going to an addiction or rehab facility has prevented you from getting the care you need, we might be a helpful first step for you. We offer personalized, individualized treatment programs in a private, supportive and non-judgmental outpatient environment. Aside from our recommended skills group, all therapy is done individually and not on a group basis. For clients who need an extra level of care and support, we can help devise an intensive outpatient program (IOP) to fit your needs, including transition to a residential program if necessary. In-home treatment can also be arranged in some cases. We recognize the urgency for prompt treatment and offer priority scheduling to clients that need it. We’re often able to see you on the same day you contact us. We’ll also work with you to make sure your care fits with the schedule and goals of your work and personal life. To learn more about Suboxone as well as our other treatment services centered around opioid and opioid dependence, we recommend calling and speaking with a member of our team. You can contact us here or call us at (720)222-0550. How Effective Is Suboxone Treatment? Suboxone treatment is highly effective in helping to transition away from prescription pain medicine and other opioids and opiates. The long term success of fighting opioid dependence, however, typically depends on appropriate therapy and aftercare. Is Suboxone A Short-Term Or Long-Term Solution? Suboxone can be used short-term to decrease withdrawal symptoms while detoxing from opioids and opiates. For clients who require more long-term assistance, Suboxone can also be used for maintenance to decrease the chances of relapse. We’ll work with you and discuss all options so you can make an educated decision about which treatment is best suited for you. What Opioids & Opioids Can Suboxone Help Treat? How Painful Is Opioid Withdrawal And Detox? Different practitioners can have different philosophies surrounding withdrawal and detox from opioids and opiates. Our philosophy is to make this process as comfortable as possible so you’re able to successfully detox or transition to Suboxone for maintenance. During your withdrawal and detox, we’ll provide what Dr. Ballen calls “comfort meds” to keep you comfortable and help relieve withdrawal symptoms such as restlessness, agitation, sleeplessness or nausea. How difficult withdrawal and detox is depends on several individual factors, but some clients are able to manage withdrawal over a weekend and keep their work schedule uninterrupted. All treatment begins with an in-person evaluation to assess your unique medical history and needs. From there, we’ll develop a treatment program that fits the goals and scheduling needs of your life, including personal and work considerations. This may include transitioning from your current opioid or opiate use to Suboxone for maintenance, or it might mean helping you detox entirely. When we started our practice, we decided that we’d rather have a smaller number of clients and develop a substantial, meaningful relationship with them than see more clients but be forced to rush them through shorter appointment times. For instance, our follow-up appointments are 30 minutes long, as opposed to 15 minutes with you and 15 minutes (or longer) with your insurance company. Many of our clients can get reimbursement for our services through superbills, however, which we are happy to provide. To learn more about Suboxone as well as our other treatment services centered around opioid and opioid dependence, we recommend calling and speaking with a member of our patient services team. You can contact us here or call us at (720)222-0550.